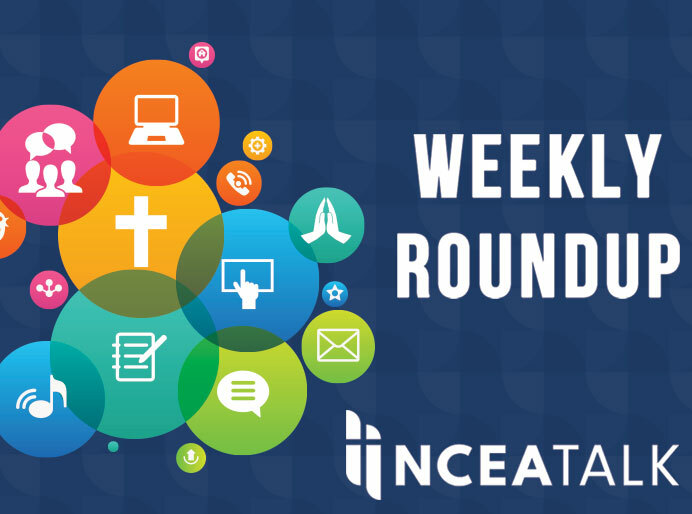 The following article was contributed by Megan Schaller, science teacher and STEM coordinator at St. Barnabas School in Indianapolis, IN. 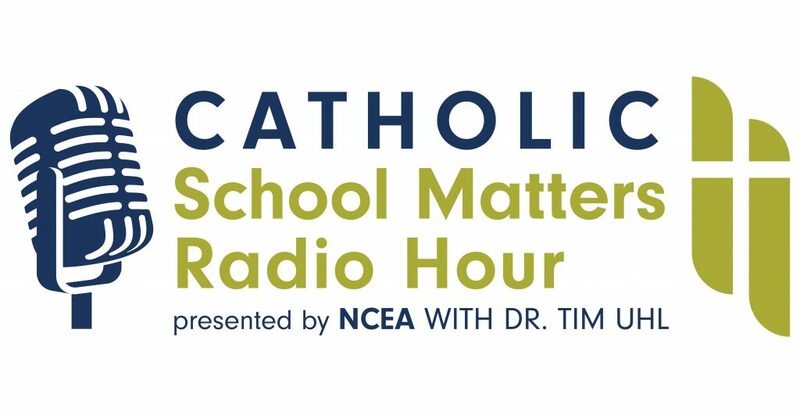 After first establishing a school-wide definition of what STEM education looks like in the K-8 classroom and empowering teachers to embrace STEM with confidence and competence, the shift was made to promoting STEM understanding, interest, identity, and involvement among Catholic families. 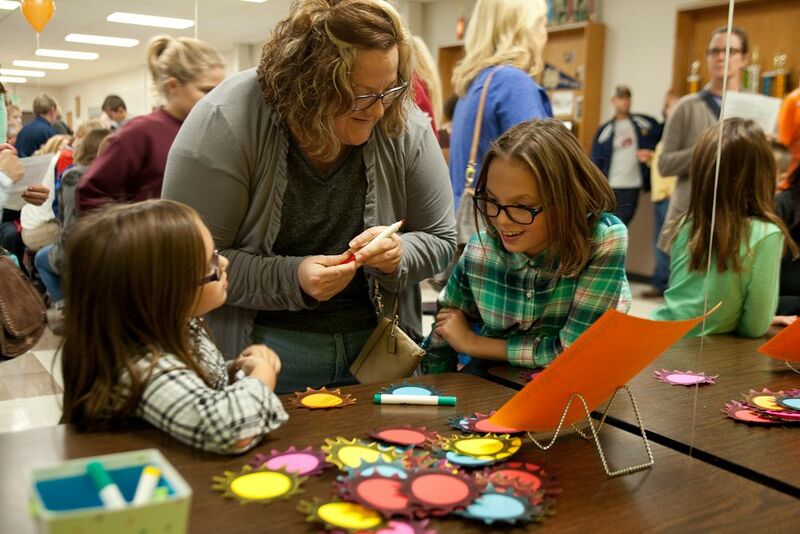 There have been smaller elements that contributed to this transformation, such as t-shirt sales featuring the school’s official STEM logo, but the main event is the annual Family STEM Night hosted in mid-November. 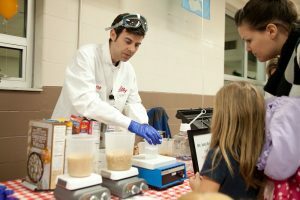 This free event for all ages encourages all members of the wider parish community to spend an evening exploring a variety of STEM-based activities and to meet with representatives from local institutions, such as Rolls-Royce, Marian University and Eli Lilly to learn more about the need for quality STEM education. There is much to be said about the skills and emotions that one experiences when collaborating with others to build, problem-solve, test and improve. Participating in these events has given parents a better understanding of the frustration, elation, and celebration of a STEM experience which has translated into a more dynamic appreciation for STEM education. “The thing that I enjoy most about the STEM nights is seeing the St. Barnabas community come together for an “academic” based activity. I mostly see other parents/families at sporting events. It is nice to see people come together for academics.” This year’s Family STEM Night theme was “There’s a Place for Me at NASA” which encouraged students and their families to get excited about space exploration and featured activities, including a modified Space Lander Challenge from Vivify STEM, Rocket Poppers from Steve Spangler Science and a virtual reality solar system exploration station using Merge Cubes. 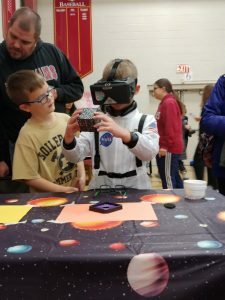 Now in its third year, the event was attended by over 600 people and was paid for by the 6th grade students, who earned a generous cash prize for their school from the educational enrichment website Clever Crazes for Kids. The impact of the STEM education revolution is also making its way to after-school programs in the form of competitive robotics. 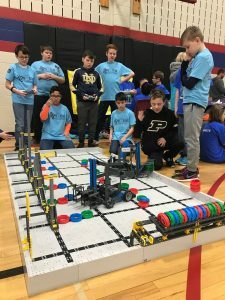 After receiving the Robotics Start-Up Grant and the Girl Power Grant from TechPoint Foundation for Youth, St. Barnabas has been able to offer VEX Robotics as an option for students who enjoy competition, but aren’t as inclined to participate in sports. “My daughter participates in sports for the social aspect. She is not very competitive when it comes to sports. However, when it comes to STEM, she loves to compete. I love that as well. She seems to get more satisfaction out of winning when she knows she has done something good with her mind.” With the program now in its second year, the school has eight teams, including three all-female middle school teams. 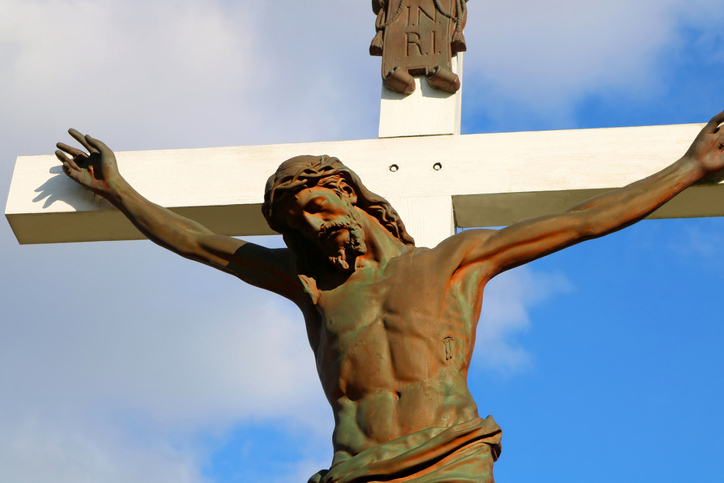 Without a doubt, Catholic schools and the communities that support them are seeing the benefits of expanding STEM programs outside of the classroom. By increasing awareness and opportunities to a large-scale audience, Saint Barnabas is proving that authentic and consistent STEM experiences can help students grow in heart, mind, and spirit to become leaders in our world. 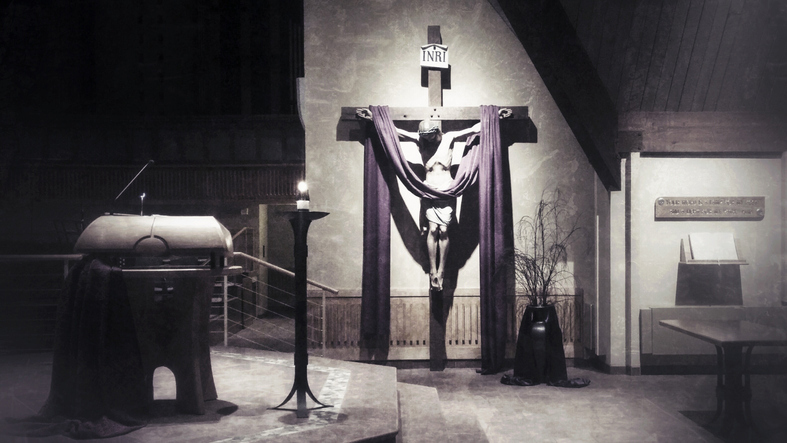 Next articleWhen Does Lent End?